My kids love dice games. Give them dice to shake and they are ready to play! So I love incorporating them into math whenever I can. These roll and color dice games have been a lifesaver this year anytime I need a quick, fun math game for my kids to play. The best part is I can use them throughout the year, whether we are working on number identification, addition, or subtraction too! With 66 games total and 22 designs, there are enough games to play any month of the year! Prepping the games is super simple – just print out the game you choose, grab some dice and crayons, and you are ready to go! I love to use different kind of dice, including regular and jumbo dice! 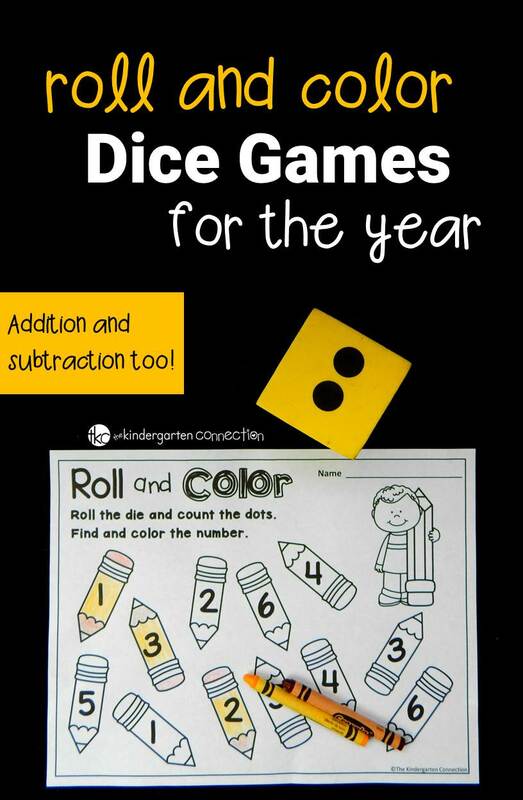 For some fun when you get to addition or subtraction, you could also try dice in dice! At the beginning of the year, I like to use our back to school themed pages and play the number version. 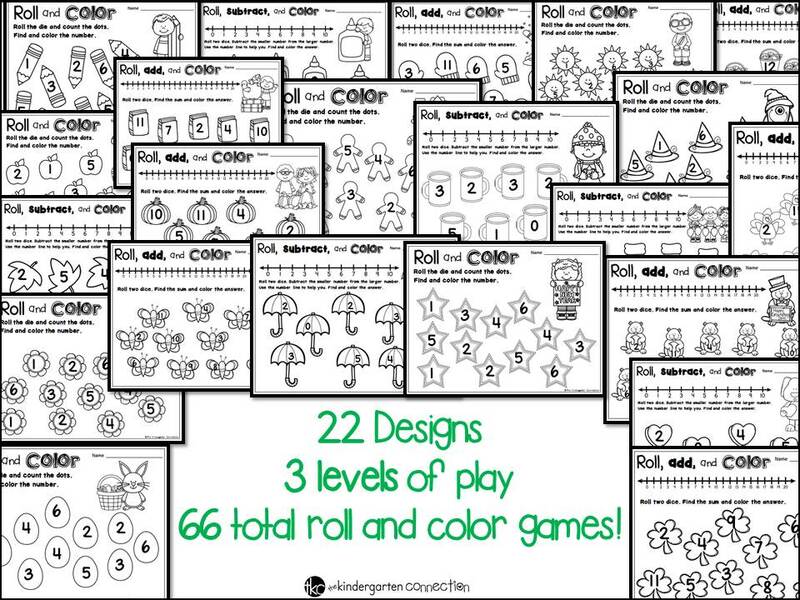 This is played with one die and is great for early learners who are working on one to one correspondence. 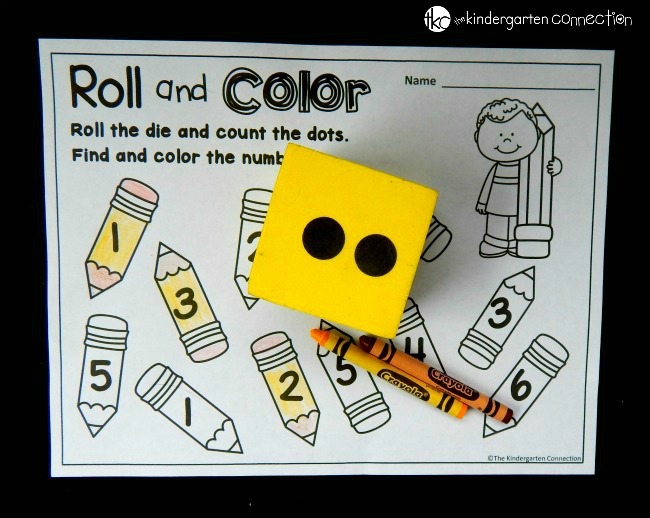 Simply roll the die, count the dots, and then color the object with that number! As we progress through the year (and sometimes in the beginning of the year as well) we are ready to add! 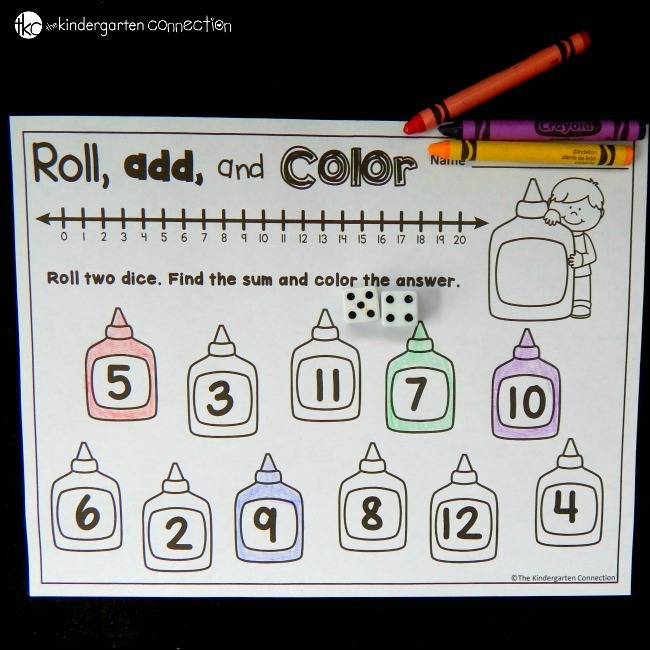 For the addition version we grab two dice, roll them, count the dots, and then color the sum! Later, I like to transition from dotted dice to numbered dice to get my kids familiar with using a number line and adding numbers without counting the dots. Subtraction is always a bit trickier for my kids than addition, so I am thankful that I can give them some fun dice games to practice! This game works with dotted or numbered dice. We roll both of them, then subtract the smallest number from the largest. 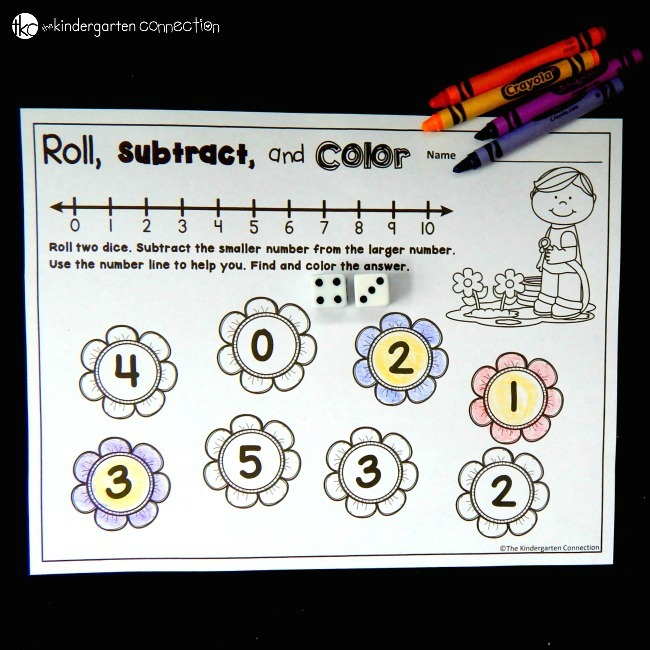 The number line is super helpful for kids, as they can practice starting at a number and counting back. Ready to play? There are tons of themes and pages for the year, and if your kids love dice as much as mine do, these are sure to be a hit! You can grab your bundle of games in our Teachers Pay Teachers store HERE or by clicking the photo below! 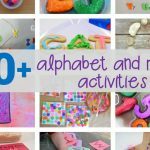 For more fun math games, get hands on with building block addition towers, or try some super fun Lego subtraction! Thanks so much for sharing such wonderful creative, learning resources!